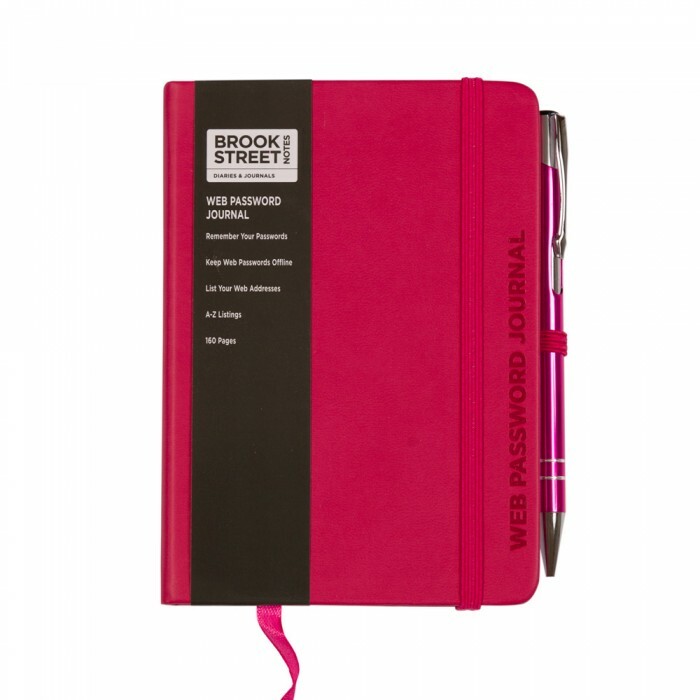 Keep your web passwords and usernames offline and off your mobile phone. The Heartbleed virus is just the latest threat to compromising your online passwords. 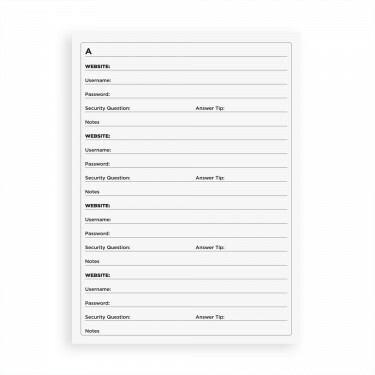 Avoid the frustration of hunting around for passwords and usernames on scraps of paper. 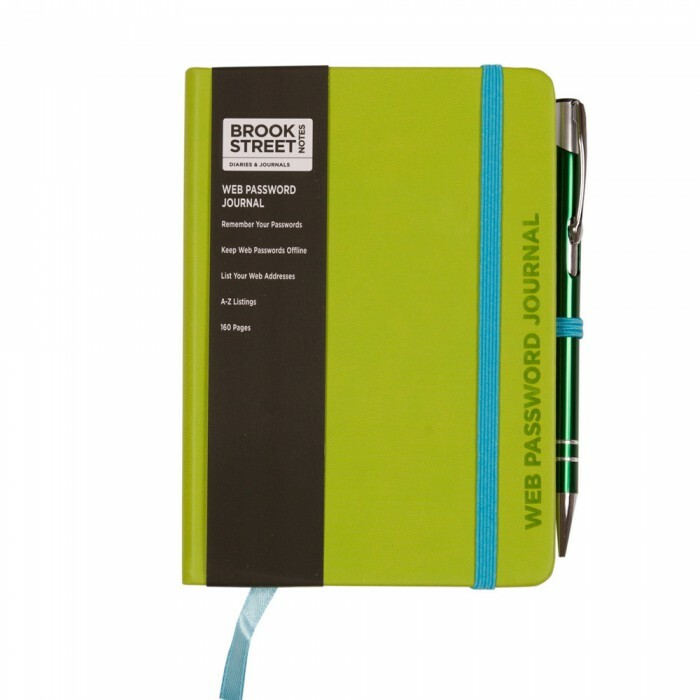 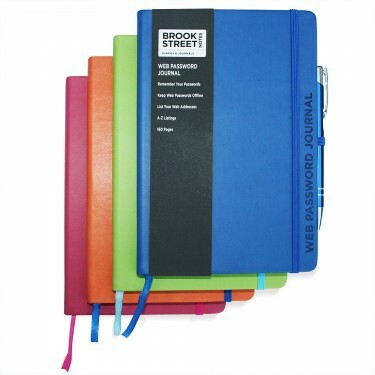 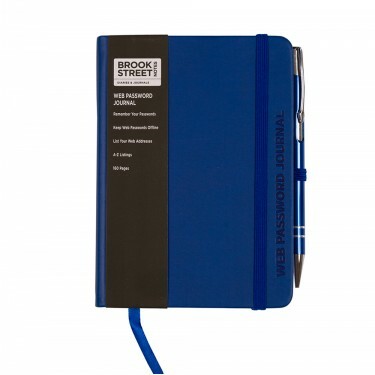 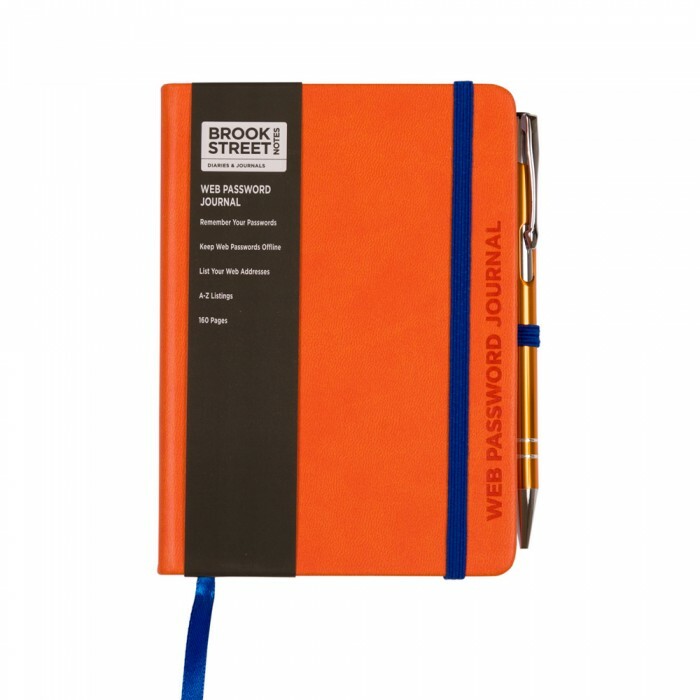 A hardback journal with soft PU leather feel, in four vivid colour options (deep blue, lime green, fuchsia pink and bright orange) and in two sizes (A5 & A6). 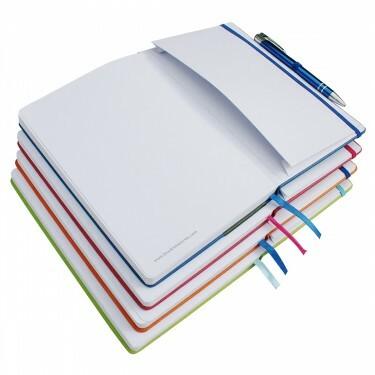 With 160 white pages. 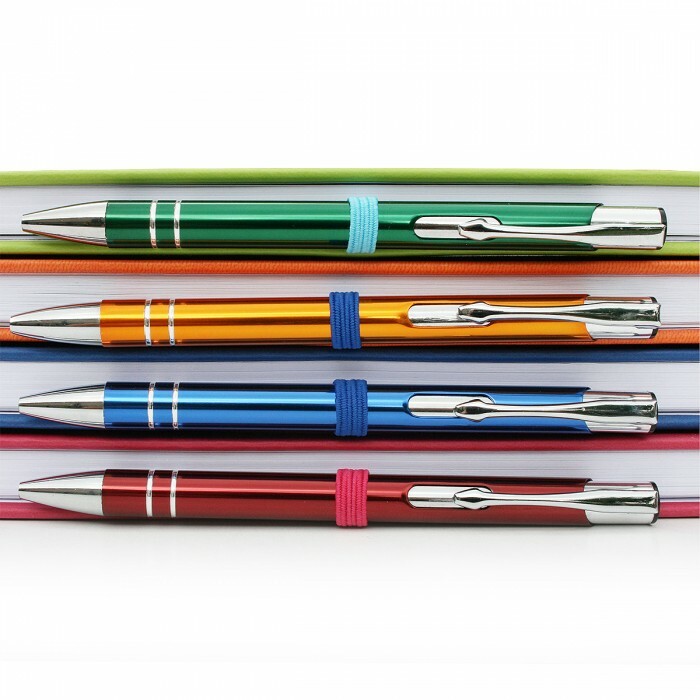 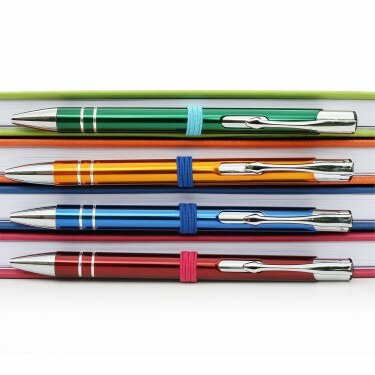 Includes expandable rear inside pocket, ribbon marker, elasticated close and pen holder with colour coded matching styled pen.